[autotag]T.J. Dillashaw[/autotag] has the fight of his life coming up next week. Now you can go inside his life inside and outside the sport ahead of his UFC 173 main event bantamweight title fight against champion Renan Barao. Dillashaw will attempt to do what teammate Urijah Faber couldn’t get done against Barao on two separate occasions, and he’ll be doing it with Duane “Bang” Ludwig as his coach for the final time. Check out the video above, courtesy of “UFC Ultimate Insider.” Then don’t miss UFC 173 next week on pay-per-view. 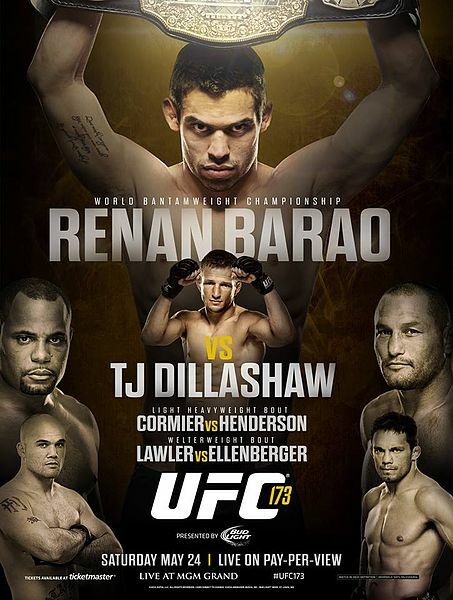 For the latest on UFC 173, stay tuned to the UFC Rumors section of the site.